Check out what to see and expect in BenCab Museum. "...everywhere is a learning realm. Everywhere is an answer if you have questions. Everywhere is a definition if you look for meanings." 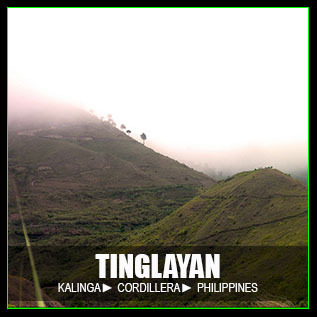 [TUBA, BENGUET, PHILIPPINES] ▬ I'm losing the words I want to say. It's been four months since I visited the BenCab Museum in Tuba town of Benguet province and the memories are creeping away from the neuro-database somewhere inside my skull. I'll try to retrieve them. Yet, deymn! I did some research online about the history of this museum so that I can have an idea what to write but it didn't help. I realized rewriting the history based on the information I read online doesn't satisfy me this time so I will choose the trail to spontaneity. However, I will still include a little history taken from the official BenCab Museum website. [TUBA] ▬ A MAN STANDS BEHIND THE GLASS WALLS. I've been hearing this so-called BenCab Museum many times and my impression is that it is a modern museum that features contemporary art. Well I was partially right, actually. I'M STILL A VIP TOURIST THIS TIME as this big hotel in Baguio playing well in the tourist market organized a tour for us guests. It's our third day in Metro Baguio and the fun never stops. I boarded in the tourist van thinking we're going to a place called La Presa made popular by a hit soap opera in the Philippines called Forevermore. I was so excited but I later found out that the latter is not our destination. 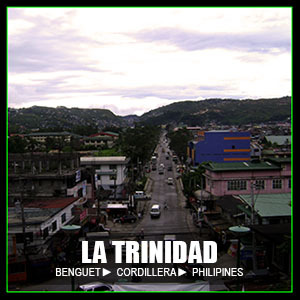 suburb you may think didn't exist, you can be proud to have lived or visited the wonderful Philippine archipelago. Well, who cares a super highway when all you see is the filth of unregulated urbanization? I will still choose the humble road of love. THEN AFTER WINDING ON THE ROAD THAT is obviously made to fit the terrain, we reached a very quiet place. The mountainous backdrop is still there but there is this one eye-catchy building that really stands out—the BenCab Museum. It was just so unusual—me seeing a museum in a unique location. How cool is that! The architectural beauty is incongruous from the rest—really eye-catchy. Tourist vehicles and cabs carrying tourists paying 300 an hour dominated the parking lot, still, they cannot take away the overt aesthetics. THE MOST POPULAR ARTISTS WE KNOW TODAY came from the colonial period. We have Juan Luna and Fernando Amorsolo to name a few. For these modern ages, there are enormous number of great artists but only a few can naturally form its fandom because it is not easy to stand out due to the list of high-caliber artists sprouting everywhere. For the man behind the BenCab Museum, he made it in the cut. He was able to create a niche that can be called his own making him earn the title "Master of Contemporary Philippine Art." BenCab is a contraction of Benedicto Reyes Cabrera born in Manila on April 10, 1942. He received his bachelor's degree in fine arts from the University of the Philippines in 1963. From there, the rest is history. 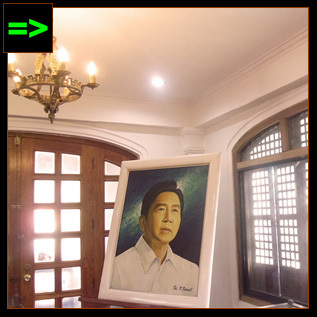 He received many awards in his field—the most notable is an award elevating his status as a national artist in 2006 under the administration of then President Gloria Macapagal-Arroyo. 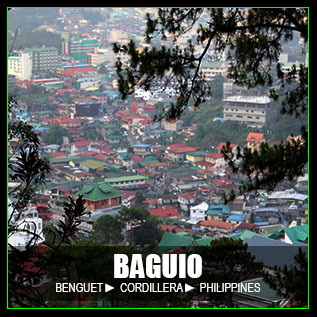 This artist lives and works in Benguet and has three successful children. ACCORDING TO THE BENCAB MUSEUM WEBSITE, "SABEL is a major subject that recurs through BenCab’s works through the decades, inspired by a real-life scavenger, he photographed and sketched in 1965, the Sabel image has become the artist's vehicle for the transmission of intensely emotional moods. When pushed to the limits of abstraction, the Sabel image serves as a fertile ground for the investigation of shape and structure." A Sabel painting garnered the highest bid during the León Gallery yearender Kingly Treasures Auction and it was sold in a price amounting to 20 million pesos in December, 2014. On April 30, 2015, BenCab sketched Iza Calzado during the Sabel musical that was staged in Solaire theater. Such musical was inspired by BenCab's artworks. 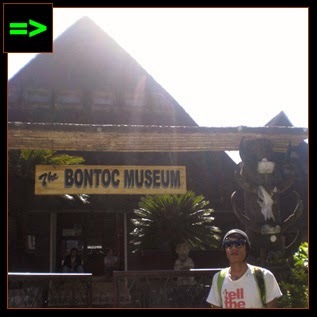 BENCAB MUSEUM IS LOCATED AT KM 6, Asin Road, Tadiangan, Tuba, Benguet. General admission fee is 100 pesos while it's 80 pesos for students with valid ID and senior citizens. 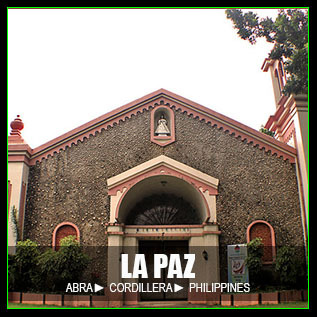 You can contact them via landline: (074) 442-7165; via mobile phone: 09205301954. The museum is open from Tuesday to Sunday. They are close every Monday. Operating hours start at 9 AM. 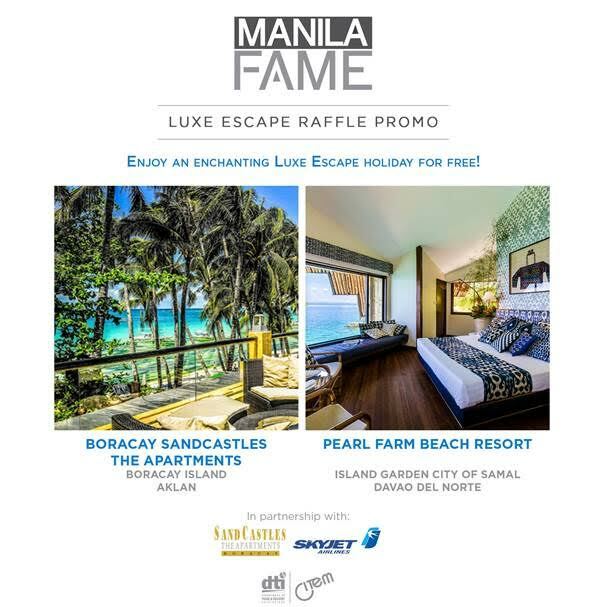 The last entry for guests is 5:30 PM then closes at 6 PM. FOR ARTS AND CULTURE LOVERS, BENCAB MUSEUM is a piece of gold in a bronze age. This is a testament that the Philippine contemporary art is never dead since some artists from Manila showcase their works here. INTERIOR ► The interior is very pleasant. Painted with white, the space appears wider and neat. The museum is a 4-storey structure. No elevator. However, walking through the stairs to go up and down is another experience since it enables you to view the interior and the artworks in different perspectives. The windows and doors are wide enough to allow the cool mountain breeze to lower down the temperature inside the building as well as allowing natural light to enter. GALLERIES ► The museum is divided into different galleries although every nook of the museum is decorated with artworks and sculpture. ALTHOUGH THIS MUSEUM IS AN OVERT MANIFESTATION of a living Philippine contemporary art, the old also finds its space here. 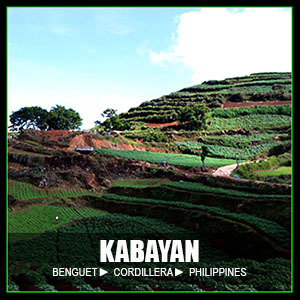 BenCab has a huge collection of bulol, an iconic sculpture representing the rich culture and tradition of the Cordilleras. Bulol is a rice god for many Cordilleran tribesmen especially in Ifugao. 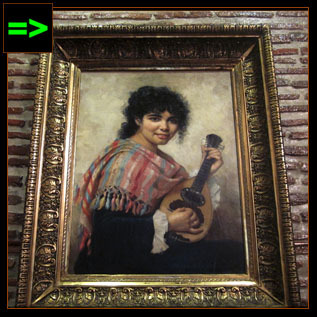 [TUBA] ▬ A BIG COLLECTION OF SCULPTURE ARE DISPLAYED IN THIS SECTION. [TUBA] ▬ MY FAILED ATTEMPT TO APPEAR CANDID: SO OBVIOUSLY STAGED. As of this posting, this is the biggest bulol collection I have seen ever. 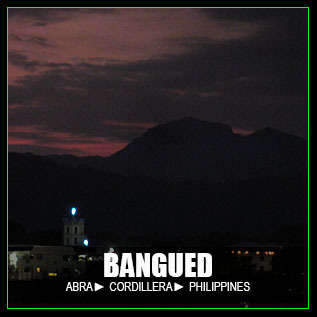 It is said that BenCab is fascinated in Cordilleran culture, hence, he chose to live in Benguet with these collections. BELOW ARE SOME OF THE ARTWORKS THAT caught my attention and I can say that they have world class qualities. [TUBA] ▬ THIS VISITOR CLOSELY CHECKS OUT THE DETAILS OF THE ARTWORK. 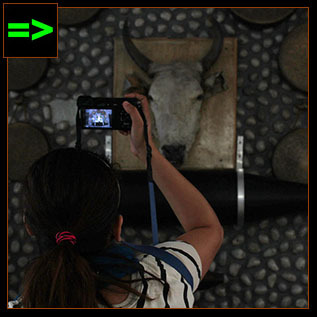 [TUBA] ▬ VISITORS TAKE A PHOTO OF THE ARTWORK DETAILS. [TUBA] ▬ SHE FINDS TIME TO CAPTURE THE DETAILS. [TUBA] ▬ THE FLOOR IS ALSO VERY DETAILED WITH A LOT OF SYMBOLISM. BENCAB MUSEUM IS MORE THAN JUST SHOWCASING Philippine contemporary arts and bulol collections. It also has its own farm and garden. [TUBA] ▬ TOURISTS ENDURE THE HOT SUN TO TAKE PHOTOS. [TUBA] ▬ A HUT STANDS IN THE MIDDLE OF THE POND. [TUBA] ▬ SOME ORGANIC FARMS SURROUND THE POND. At the back of the museum is a huge wonderland with a refreshing view of the verdant surroundings and mountains. This area hosts a pond and organic farms. Harvests from the organic farms are actually cooked and served in Café Sabel, a restaurant also located in BenCab museum featuring fresh and organic food. INDEED, WHEN YOUR WORK CAPTURES THE WORLD, it's a good sign that your output is gaining popularity and community value. For BenCab, he has proven his supremacy in his niche. On this section, I will feature some of his works I've personally seen that has crossed borders from his base in Tuba, Benguet. TEASER ► I can't believe when the museum-tour guide told me that the painting I am seeing is an original work of Juan Luna, one of the greatest Filipino artists in history. in Vigan is where I first saw a BenCab creation. 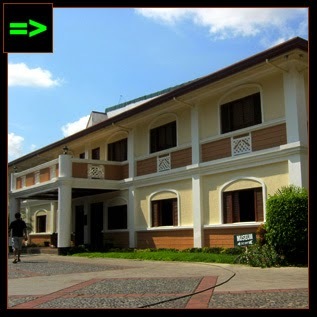 His Sabel paintings are displayed on prominent parts of this museum-hotel. In the grand sala, the main part of the museum, a BenCab creation called "conversation" serves as a centerpiece of other artworks including an original multi-million dollar painting of Juan Luna and an original sketch of Fernando Amorsolo. Note: I will feature more BenCab works in this section (if I will encounter more in the future) that has gone far from its home in Benguet. 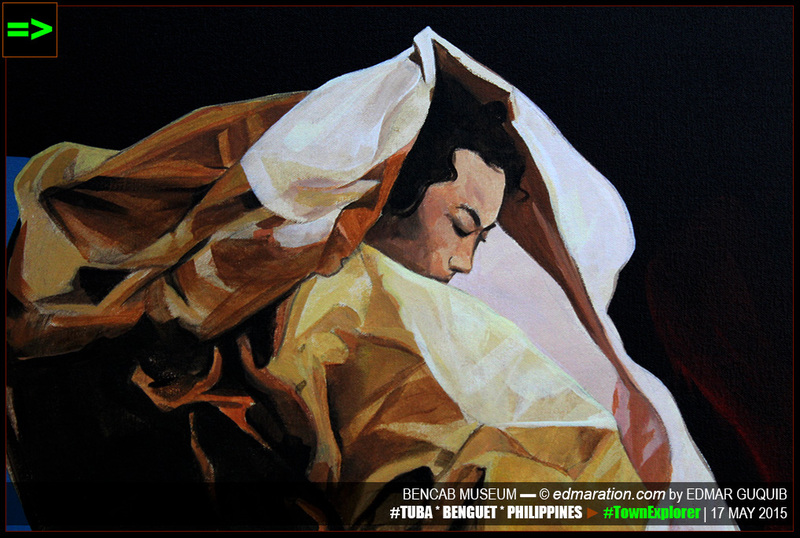 [TUBA] ▬ HELLO FROM BENCAB MUSEUM! [UP NEXT] ▬ HANG ON FOR THE NEXT DESTINATION. THIS IS AN IGOROT VILLAGE. Up Next: Arts and culture turned to canvasses and colors in BenCab Museum that made me feel amazed. 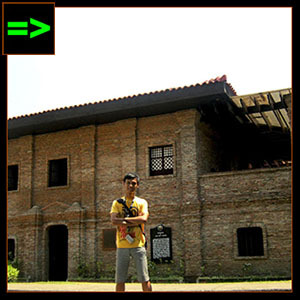 After visiting this museum, we'll be going to a destination where culture and heritage turn to a village. I hiked. The village is secluded by trees; the mountain slope holds it right. Watch out for Part 11. This post is filed under the category "Museums." 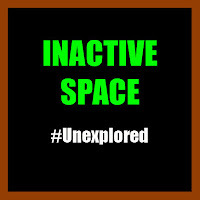 This category is a collection of stories about all the museums I've seen or visited. It doesn't matter if the museum is small, huge, old, new, private, public or whatever. To see more posts about museums, scroll down and look for the "More Posts from this Category" blog section. 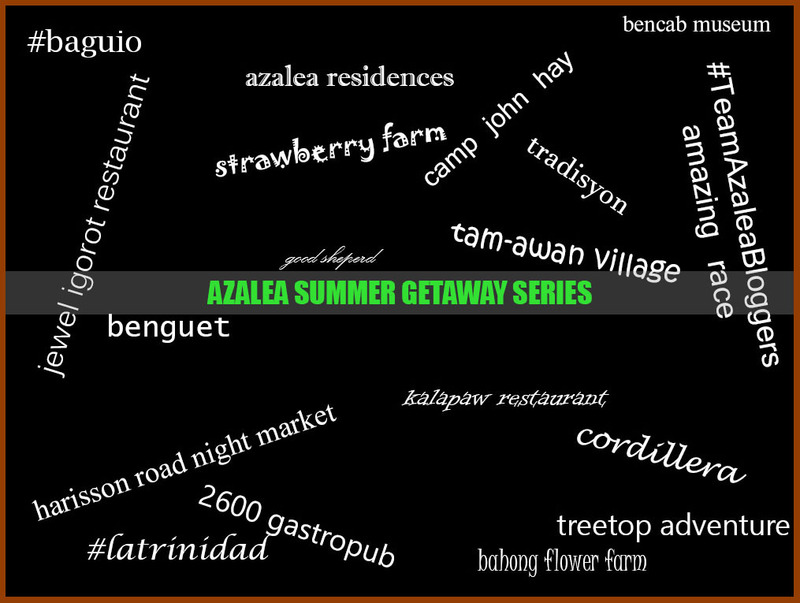 TEASER ► It is a place where I found the authentic answers to my questions. TEASER ► Now I know how the weapons during World War II looked like before my eyes. In this museum, it will feed your curiosity if ever you bring that. 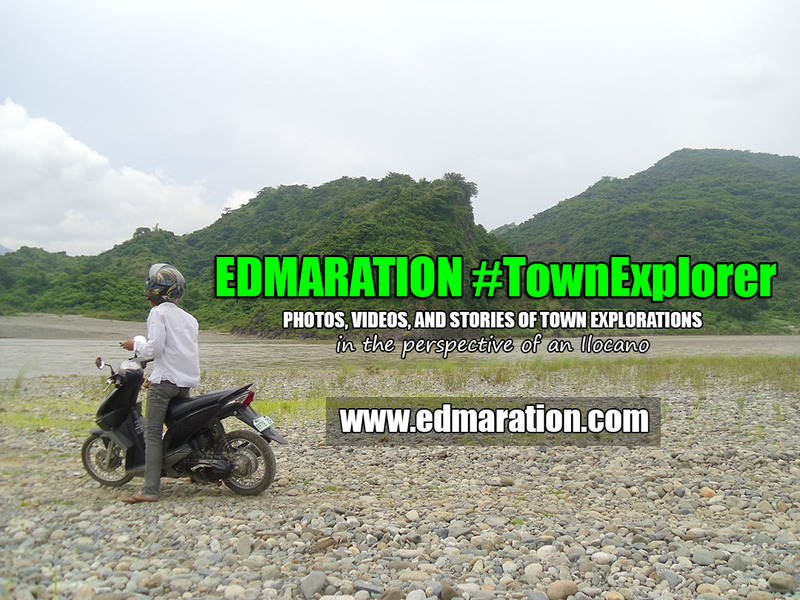 TEASER ► That body is waiting to be buried at the Libingan ng mga Bayani. It is open for public viewing, but it is actually private. Uh, quite confusing, hard to reconcile but it actually exists. TEASER ► As I explored the different parts of the house, it brought me back in time with strange feeling, a feeling that money can't buy.